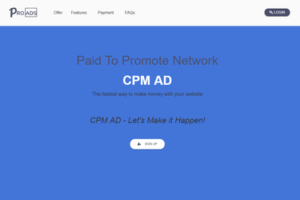 Crypto affiliate marketing can be highly profitable, but it is rather different and somewhat more complex than the standard cash-based affiliate industry that we’re all familiar with. 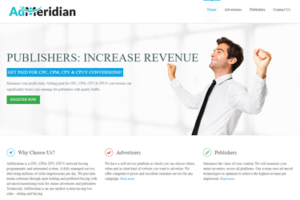 If you’ve found this article, the chances are that you already have a good idea of what affiliate marketing is, and how you can use it to make money online. 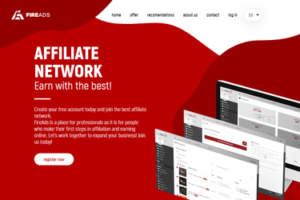 The affiliate industry is a forward-thinking, continually adapting one – and so it makes sense that affiliates are jumping onto the cryptocurrency bandwagon in droves in order to boost their income and target new markets. If you’re interested in affiliate marketing cryptocurrency, want to know how crypto affiliate marketing works or are keen to ensure that you avoid potential scams, read on and we’ll explain everything you need to know. Everyone has heard of cryptocurrency – such as Bitcoin. However, to make money with a Bitcoin affiliate program or another scheme that accepts payments and pays out in cryptocurrency, you have to understand how cryptocurrency affiliate programs work. First of all, there are two different approaches to crypto affiliate programs, and you need to understand the difference between the two. • Some crypto affiliate marketing schemes handle cryptocurrency payments from your acquisitions, but make their affiliate payments in standard currency. • Others offer products and services (often but not always relating to cryptocurrencies) and pay their affiliates in cryptocurrency too. In terms of how you sign up and work with a crypto affiliate network, this is more or less the same as when dealing with a standard currency-based scheme. You find a cryptocurrency affiliate network you want to join, sign up with them and then gain access to the referral links you need to use to market and promote your offerings. When your prospects take the required action, this is reflected in the commensurate commission being paid to your affiliate account. The key difference between crypto affiliate programs and regular affiliate programs? The affiliate scheme will be taking payments from prospects in cryptocurrency and may be paying out to you in the same way. New crypto affiliate networks are entering the business virtually daily, and some of these will be existing affiliate schemes that are branching out into the crypto market while others will be brand-new start-ups that are exclusively targeting the cryptocurrency niche. You should apply the same rigorous selection criteria to any crypto affiliate programs you might be considering joining as you would to any other network – to make sure you get the best deal, have a good chance of making money, and vitally, won’t get ripped off by the scheme itself. This means that a safer choice is usually choosing an existing affiliate program that also offers a crypto option, particularly if you are already working with the scheme’s standard currency options and know what to expect from them. If you’re keen to get in on the ground floor with a brand-new cryptocurrency launch and take the gamble that it’s going to pay off, you might want to consider ICO affiliate marketing schemes instead. ICO stands for “initial coin offering,” and refers to the way that funds are raised for a brand-new cryptocurrency venture. However, there is a high degree of uncertainty when you do this, even taking into account the natural volatility and fluctuations that affect the crypto market in general. To make money with cryptocurrency affiliate marketing, you have to join the right scheme – and never lose sight of the fact that crypto schemes find it harder to get affiliates than affiliates do to find schemes, so you have a strong position when it comes to holding out for the best deal. 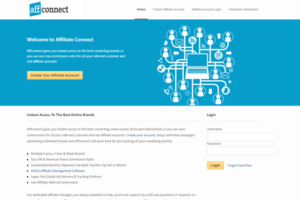 What kind of niches do crypto affiliate networks serve? 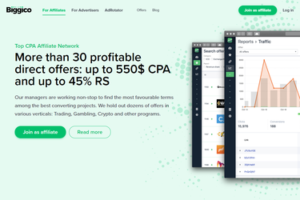 Theoretically, crypto networks can serve any niche, and the number of crypto affiliate networks are growing all the time. However, in practice, there are a few specific types of industries and niches that work particularly well with crypto, and these are those that are most widely served by crypto affiliate networks. Adult dating and hook-up services, for which paying in cryptocurrencies offers an additional degree of anonymity for the buyer or user. Bitcoin is the best-known of all the cryptocurrency offerings, as well as generally the strongest and most stable. Bitcoin affiliate marketing is perhaps the safest choice when it comes deciding which type of cryptocurrency scheme to join – however, as mentioned, crypto markets can be highly volatile even at the top end of the scale, and may fluctuate a lot. A data breach, hack, or other potential threat can wipe billions off the value of any cryptocurrency within hours – which means that the affiliate commissions you have earned in cryptocurrency might go from being millionaire-grade to pennies overnight if you back the wrong horse. When you work with a crypto affiliate scheme, you have to accept this gamble – and often, it will be well worth it because of the high value of your potential payouts. However, you can take some steps to protect yourself from being ripped off or choosing an unprofitable option by learning how to avoid some of the most common crypto affiliate marketing scams. Reputable affiliate marketing schemes don’t rip off their partners – because there’s no value in doing so. A profitable affiliate than makes money in the long term is worth much more than simply scamming a couple of hundred pounds in commissions or fake offers in the short term. However, as the crypto affiliate markets grow, a small number of scams have already begun to do the rounds, and trap unwary or uninformed would-be crypto affiliates who set out to earn money. Here are three of the most common crypto affiliate marketing scams to watch out for. This is the most common type of affiliate scam overall, and it’s not exclusive to crypto affiliate payments. A dodgy affiliate scheme might fail to credit all of the commissions owed to you or find spurious reasons to discount some of the acquisitions you make, such as payments from visitors in unsupported countries. The inherent volatility of cryptocurrencies means that their value can fluctuate a lot very quickly, so you should consider choosing an affiliate scheme that locks in the conversion rate at the point of sale or acquisition. This means that if you earn a commission worth £10, its value remains at £10, regardless of when it is credited to your account or when you withdraw it. If you don’t do this, the scheme in question might penalize you for fluctuations – such as if your original £10 drops to £8 later on. Schemes that set out to scam you might even rely on your lack of in-depth knowledge of the crypto market to tithe your earnings under the banner of currency fluctuations that aren’t even happening. As we said earlier on, the crypto affiliate market is growing rapidly, and new schemes enter the arena every day hoping to take a slice of the pie. Some of these are outright frauds that have no intention of paying your crypto commissions at all, while others may simply be unlucky or poorly managed to the point that they go bankrupt or don’t have the funds to pay out the commissions you have earned. They may then set up in business again a short while later with a new name and website, all ready to catch unwary newcomers a second time around. Always read the fine print before you join an affiliate scheme to see the procedures and safeguards they have in place to protect you from this sort of risk and consider playing it safe with a longer established crypto affiliate scheme, or an established scheme that is branching out into the cryptocurrency market. Take into account these potential pitfalls when you’re deciding on the best affiliate cryptocurrency to work with and looking for a scheme to join – and remember that if something seems too good to be true, it probably is.